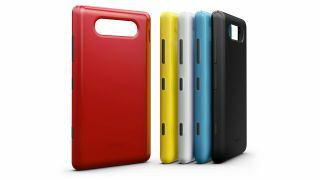 Nokia has published the files necessary for people to 3D print their own Nokia Lumia 820 cases. Harking back to the days of the 3310, when interchangeable fascias were the height of cool and the Baha Men were stumped over who allowed some canines to escape, the files allow you to design your own case for the Windows Phone phone. The files come as part of a 3D-printing Development Kit (3DK), with added advice on what materials work best and design tips. Since you're unlikely to have a 3D printer kicking about at home, you may want to try a 3D printing service - however, neither option really comes cheap. Still, it's a nice little bonus if you have the cash and the know-how to design your own case; and it's certainly not difficult to foresee a future where phone accessories are printed at home instead of bought from questionable little booths in shopping centres.